Doctor Brown is a native Chicagoan who attended medical school at the University of Illinois College of Medicine, Chicago. After completing internship and residency training in pediatrics at Wyler Childrens Hospital at the University of Chicago, Doctor Brown spent an additional year as Chief Resident of the pediatric training program at the U of C.
Board certified in pediatrics in 1989, he has been recertified in 1996 and 2003. Doctor Brown is a member of the American Academy of Pediatrics, The Chicago Medical Society, The Illinois State Medical Society, and The American Medical Association. Since completion of his training, Doctor Brown has practiced general pediatrics on a full time basis in his Chicago office. He is on the staffs of Northwestern Memorial/Prentice Women's Hospital, Children's Memorial Hospital, Rush Children's Hospital at Presbyterian St. Lukes Medical Center, and at The University of Chicago Children's Hospital. He is actively involved in the teaching of residents and medical students. Doctor Brown is married and has three children. 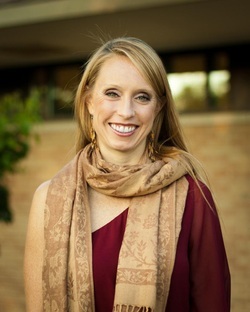 Doctor Kathy Starr grew up in the western suburbs of Chicago. She studied psychology and anthropology at Washington University in St. Louis and attended medical school at Rush University Medical Center in Chicago. After completing her pediatric residency at Rush, Dr. Starr joined Streeterville Pediatrics in 2001. She is on the staffs of Northwestern Memorial/Prentice Women's Hospital and Lurie Children's Hospital. Dr. Starr is married and is the mother of three children. Dr. Katie McCabe is excited to join Streeterville Pediatrics in October of 2012. Born and raised in a suburb of Detroit, she received her B.A. in Biology from Albion College. While at Albion, she played on the two-time MIAA Champion Women’s Soccer team. She attended medical school at Michigan State University before moving to Chicago for pediatric residency at Rush University Medical Center. After residency, she joined Mercy Hospital and Medical Center Department of Pediatrics. Dr. McCabe was board certified in Pediatrics in 2009. She is a member of the American Academy of Pediatrics and Illinois State Medical Society. She is on the staffs of Northwestern Memorial/Prentice Women’s Hospital and Lurie Children’s Hospital. Dr. McCabe is very passionate about taking a comprehensive approach to the care of children. She strongly believes that prevention is the key to medicine. She enjoys teaching both parents and children, and making them active participants in their health care. Dr. McCabe is an avid runner, having completed eleven (and counting) marathons. She also enjoys finding balance through her yoga practice. She can thank running for bringing her and her husband together. Dr McCabe has a son, Beckett. ​Lauren Warn is thrilled to join Streeterville Pediatrics as a Nurse Practitioner. Lauren graduated from Lewis University with her Bachelor of Science in Nursing. She spent her first 5 years as a Registered Nurse in the Neonatal Intensive Care Unit at Northwestern’s Prentice Women’s Hospital. During her time there she continued her professional studies to become a Nurse Practitioner. She received her Master of Science from Olivet Nazarene University. Lauren is board certified through the American Nurses Credentialing Center. She is a member of the American Association for Nurse Practitioners and Sigma Theta Tau International Honors Society for Nursing. ​Lauren believes in an integrative approach to medicine and understands the importance for parents and providers to work together as a team to care for each child. Her focus is on preventative medicine. She loves any opportunity to educate the entire family on how to make good choices for a long and healthy life. Lauren cannot wait to watch her patients grow! We are very proud of our loyal staff and delighted that they have been with us so long! It's with extreme sadness that we report the passing of Dr. Bill Barrows. Bill, pediatrician and friend to many children and families, had battled for over 2-1/2 years with a brain tumor and finally came to rest on Memorial Day 2014. Bill was born in St Paul, Minnesota. He attended Trinity College in Connecticut where he also met his future wife, Donna. He studied at The Chicago Medical School and trained in Pediatrics at The Michael Reese Hospital and Medical Center. In the early 1980's, he joined Dr. Herbert Cibul and has been practicing pediatrics in the same area ever since, until his eventual forced medical retirement in 2012. Bill was a tireless physician and caregiver who always made patients feel at ease and had a sense of humor that so many of his patients and parents enjoyed. He was a terrific role model that made a significant impact on so many of his patients, many of whom went into medicine. Dr. Barrows was responsible for the training of many medical students and pediatric residents over the years. He also invited many pre-med students to the office, to shadow and get a "taste" of the practice of medicine. Bill spent many years volunteering at the St Basil Health Clinic on the south side of the city. He loved to spend time with his family and children, and frequently spent "one-on-one" vacations with each of his sons individually. As many of you know from his photographs gracing the walls at our office, he was an avid photographer. He was very involved in many civic, religious, and volunteer activities. He influenced so many. And we will miss him deeply.